Recently, the 2018 Honda Civic was awarded the Canadian Green Car Award for Best Internal Combustion Engine. This is the second consecutive year the Civic has been awarded the title. The Civic has long been the standard for fuel-efficient passenger cars since the vehicle debuted in 1973. Ten generations later, the Civic remains best in class. The Canadian Green Car Award is awarded annually to recognize vehicles that strive to reduce the negative environmental impact of cars on our environment. The winning vehicles are judged on not only their positive impact on reducing environmental damage but also their mass-market potential to make the biggest impact. The main categories that are honoured include Zero Emission & Overall Winner, Plug-in Hybrid, Hybrid, and Efficient Gasoline or Diesel Internal Combustion. The Honda Civic was the category winner for Efficient Gasoline or Diesel Internal Combustion. To be considered for this category, vehicles must have a combined fuel economy of 7.0 L/100 KM or lower. The Honda Civic Coupe has a combined fuel economy of 6.8 L/100 KM. Honda’s commitment to reliable and fuel-efficient vehicles has positioned fuel efficient, or green, vehicles in the mass market comfortable. With vehicles like the 2018 Honda Civic, consumers are no longer looking at green vehicles as alternatives. The Honda Civic may reduce fuel consumption, but that is the only thing it reduces. 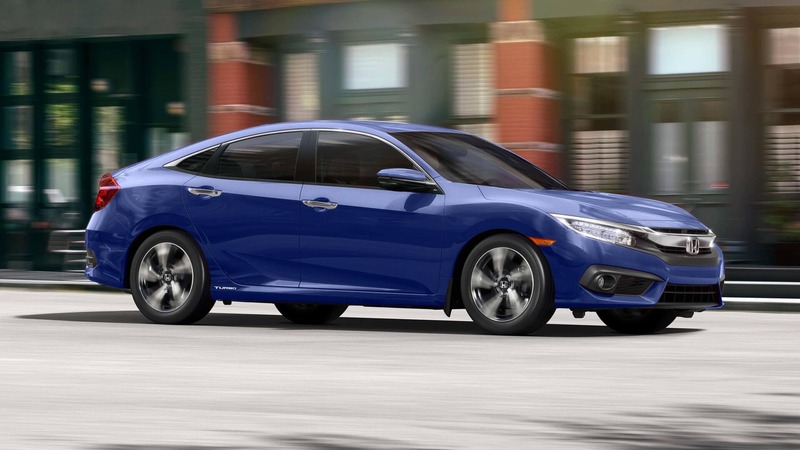 The 2018 Civic continues the model’s tradition of offering consumers a number of impressive features. The model features available fog lights, mirror-integrated LED turn signals, aggressive, sporty styling, available power moonroof, and standard 16-inch aluminium-alloy wheels with available 17-inch aluminium alloy wheels. The Honda Civic isn’t the only vehicle in the Honda lineup that is fuel efficient. The Honda Accord Hybrid has recently been hailed as a benchmark among intermediate hybrids, bringing hybrid cars further into the mass market to reduce emissions. The Honda Clarity Plug-In hybrid is another hybrid option available in the Honda lineup. For more information on Honda’s fuel-efficient options and how Honda can help you reduce your carbon footprint, visit Henley Honda today.